Over the last few years myself, wife and son have holidayed in Majorca four times. 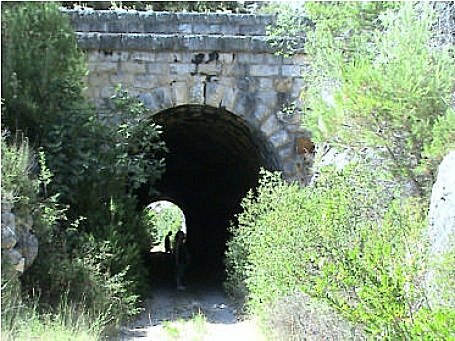 There has been the usual attractions; sun, beach and conventional sightseeing, but additionally the opportunity has always been taken to explore the Island's derelict railways. 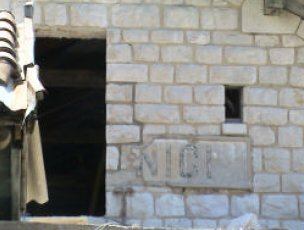 Having covered all those (some of which are now not derelict), we decided to go somewhere different in 2007 and Croatia was suggested. The usual holiday brochures were studied and a destination decided upon � Cavtat, just south of Dubrovnik. From a railway perspective this choice did not appear a good one. That is until a search of the internet revealed this web site and it was realised we had struck gold. We were not to be disappointed. 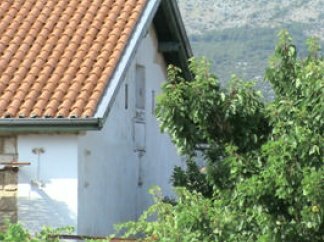 The initial study of the web site suggested only a former line from Dubrovnik to Hum on the Capljina to Titograd (now Podgorica in Montenegro) line was up for grabs. Closer inspection of the 1968 timetable page (table 88), however, listed another line from the Dubrovnik line at Uskoplje to Zelenika (Montenegro). Upon arrival in Croatia the largest scale road map of the area was purchased (no Balkan equivalent of an OS map could be found). On the road map (rather amazingly) much of the two lines were shown as though they were country roads. 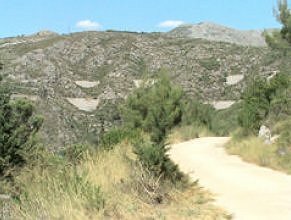 When we started our exploration it was evident why; certain tracks of both lines have been tarmaced and are very narrow isolated roads with passing places. The map was extremely useful. The exploration demanded a hire car and we obtained one for a two day period in the first week and another for the same time in the second week. 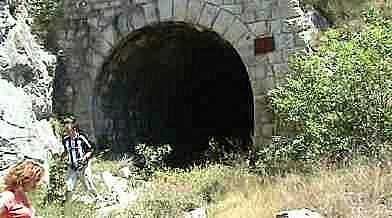 On the first day in week one, with a temperature of 33° and the car's air conditioning working overtime, we drove to Ivanica on the Croatian/Bosnian border and at that point immediately spied a disused railway tunnel mouth. This was next to the road in the no man's land area between the two frontier crossing points though some 40 feet below. All this on the side of a mountain some 1000 feet above sea level with a backdrop of the Adriatic Coast and Cavtat some three or four miles away in the distance. Access to the tunnel at this point looked very problematic so it was decided that we would park the car and walk into the village of Ivanica to see if the other end of the tunnel could be found. This we managed to do but not without some considerable difficulty. The track bed was fairly overgrown in places, especially in the few rock cuttings encountered en route to the tunnel. Where there are not cuttings there are embankments (there is no flat country around there) which are in places extremely high and masonry lined. Those with no head for heights should avoid this line! With great difficulty we manoeuvred our way to the tunnel and walked through. It was the coolest we had been all day. It was not a long tunnel � perhaps 400 yards, but curved. Half way through my wife rather unfortunately said 'You don't suppose there are any mines in here do you?' I reassured her that I thought it unlikely but privately rather wished she had not put the thought in my mind. 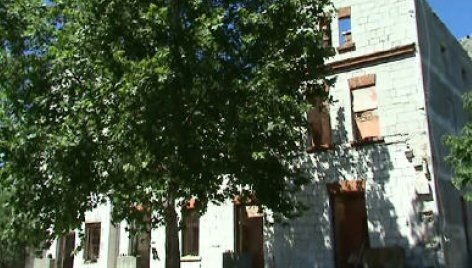 Her reason for saying this was that there were many signs in Ivanica of the civil war which took place in the 1990's � bullet holes in buildings/derelict damaged houses and so forth. Trying to put the chilling images of exploding land mines from our minds we trudged on through the tunnel (which was still ballasted with the imprint of removed sleepers visible), disturbed a colony of bats who fortunately kept themselves to the tunnel roof, and emerged blinking at the portal we had first encountered some two hours earlier. After checking that we all still had a full complement of arms and legs, we scrambled with some difficulty up to where the hire car was parked. taken by Charlie Lewis in 1965. 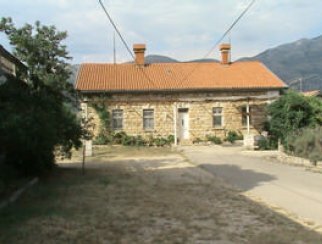 We brushed ourselves down and then drove through Ivanika, round a hair pin mountainside road and found Ivanica Station (first station out from Uskoplje on the Zelenika line). There were no other buildings around and it was certainly very isolated from the village. The place was a ruin probably mostly due to the hostilities. Not wishing to study the Zelenika line until week two we drove back to Ivanika, eventually found the correct right turn and travelled inland down a very narrow lane through rocky and desolate countryside to Uskoplje station. 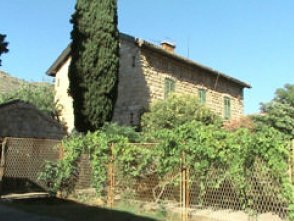 This was also a ruin with many smaller station outbuildings in a similar state � no roofs and large chunks of masonry missing. 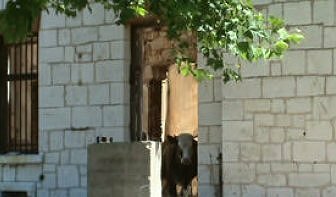 What was worse was the herd of rather aggressive looking cows which were using the ground floor of the main building as a shelter from the hot sun. This put us off exploring so we drove further into the wilderness to the next station at Zaplanik. This we found in the middle of nowhere (we had seen no habitable buildings since Ivanika � some 4 or 5 miles back). It certainly is a desolate countryside in that region. At Zaplanik the railway to Hum has been tarmaced over all the way. 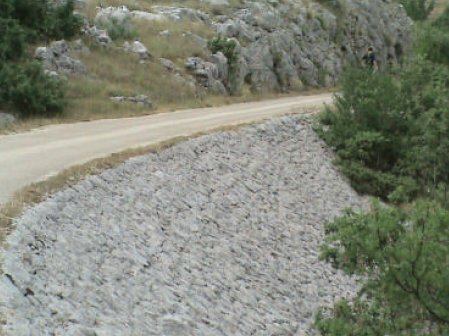 As already pointed out, such roads are very narrow and in this case although traversing relatively flat country there were still some fairly high embankments � and no armco! Fortunately we met few cars because with passing places a fairly long distance apart, the prospect of reversing an unfamiliar car along unprotected embankments was not to be relished. I had to do it once but that was for only about 50 yards. 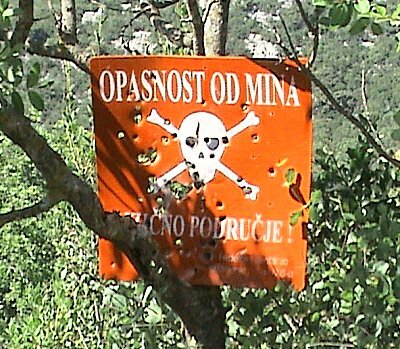 En route to Hum we came across the sign shown � although in Serbo-Croat the message was menacingly obvious. Hum itself was frightening with the whole station complex showing much evidence of military activity. The main building was still standing but had mine warnings painted on it � what a sad contrast from the peaceful setting shown in Jim Horsford's 1970's picture. 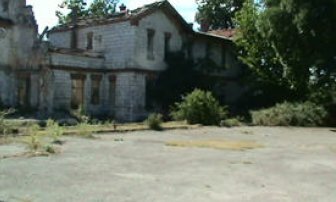 I alone took a tentative tour on foot around the deserted complex, keeping only to those places where people had clearly relatively recently walked � it was all rather unnerving and I was glad to get back to the car. 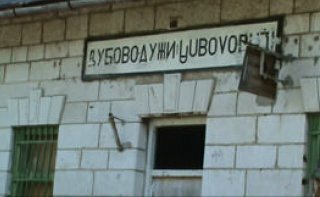 Ljubovo-Duzi station name plate and the level crossing. Soon after this we gained Highway 20 and were happy to be on a conventional two track road with armco at the appropriate places. 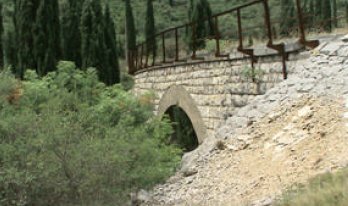 On day two we decided to explore the line from Ivanica to Dubrovnik. First, however, we decided to go back to Uskoplje station to see if the cows had vacated the premises. Disappointingly, they had not so looking around the main building was off the agenda. Instead I alone explored the out buildings and some 200 yards east of the station found the remains of a turntable. Unfortunately we were unable to visit Brgat station which is located on the side of a mountain about 100 feet above the road. This was because there was red plastic tape across the access path. We were not sure but felt this was a mine field warning. 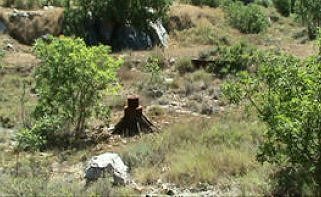 Instead we drove to Dubrovnik following the estuary of the River Dubrovarka for the last three miles with the derelict railway to our left rising on the mountainside out of the city. 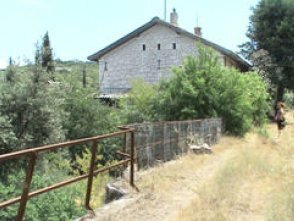 Due to the difficulty in parking it was not possible to precisely locate the former station complex in Dubrovnik. It seemed the area had been extensively redeveloped. Instead we back-tracked to Sumat which is located about two miles from Brgat as the crow flies but more like six as the railway went due to the long height loosing loop between the two stations. 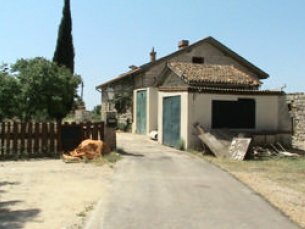 Sumat station is a private dwelling and it was possible to drive down what had been the railway past its location and park below the loop mentioned. We walked quite a way up this loop, passed an interesting rock overhang and came to a short tunnel. All this was positioned on the side of a mountain with some unnerving shear drops, but fantastic views of the valley below with the continuation of the Dubrovnik line on the opposite mountainside. We wanted to go further but it was a very hot day again, the gradient was pretty steep even for a railway and we were tired. So we returned to the car. We still had half the afternoon left so decided to try and find Cavtat station on the Uskoplje to Zelenika line. This we did easily. It too is a private dwelling and below are pictures (front and rear) which show what a fine building it was. 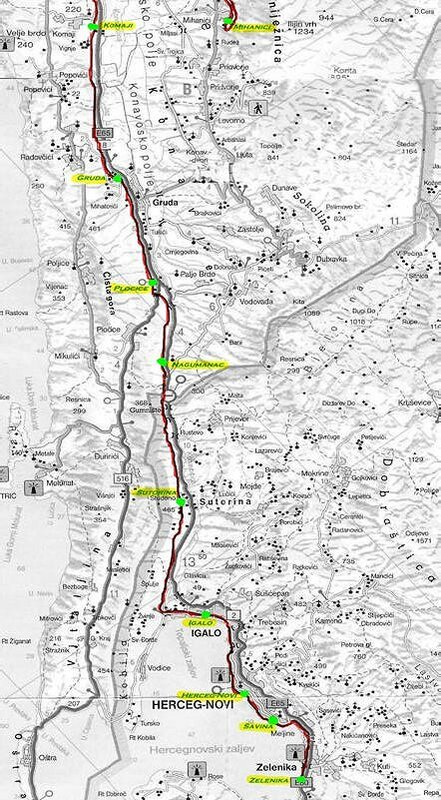 A download of a map of this area from Multimap posed a dilemma as on that, inexplicably, appears a spur from Cavtat Station to a place called Obod near to the coast. 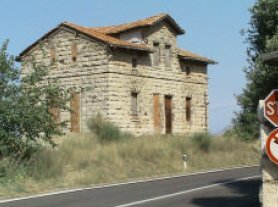 No evidence of this could be found in reality, though a visit to Obod revealed a derelict building which had all the characteristics of being of railway construction and it even had a pile of sleepers near to it � see pictures below. 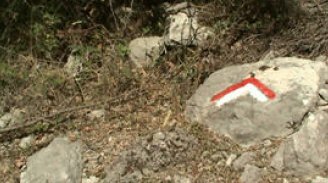 However, the terrain between the two locations was extremely hilly and this belied the possibility that a spur ever existed. We dismissed it as a red herring. 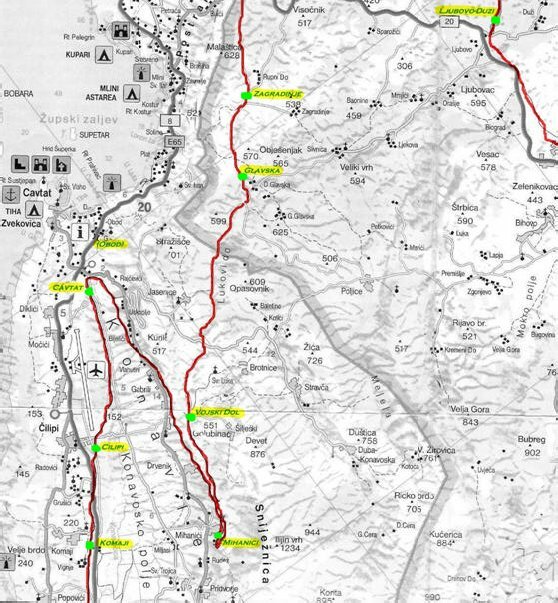 Map of the lines covered at the end of day two and on day three. car on the main road and walk. On yet another scorching day this ascent did not come easy but eventually we got to the station which appeared to be being converted to a dwelling. 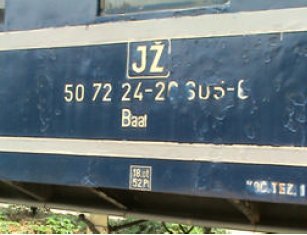 The picture of the side of the station shows what is left of its nameplate. We needed to pass close to this building to progress to the tunnel but in the garden was a large dog which did not appear to be chained. We kept our distance and not knowing whether the animal was friendly or not (and not particularly wishing to find out) we dismissed that route as a way of reaching the tunnel. Instead we had the idea to walk up a path we found to the higher part of the loop whereupon (we thought) we would walk down to the tunnel. 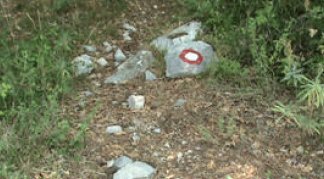 All went well until we found the track bed but at that point on the rocks were various red, white and blue symbols painted which in ignorance of knowing otherwise we felt might be warnings of mines. Dubious markings on rocks - mines? Again, discretion proved the better part of valour, so, crestfallen we carefully traced our steps back to the lower level. There were no rock markings here so we decided to walk downwards � that is until after about half a mile the track bed became impenetrable due to thick undergrowth. The views from here were however worth the walk. Far below was the line making its way in the valley along side Dubrovnik Airport at Cilipi. How we wished we had been lucky enough to have travelled on this line when it was operational. We have in the past journeyed extensively in Switzerland and this line was a close rival to some of the Alpine engineering feats. Returning to the car we felt it would be a good idea to next attempt to find Vojski Dol which as already mentioned is where the loop through Mihanici starts its descent to Cavtat. 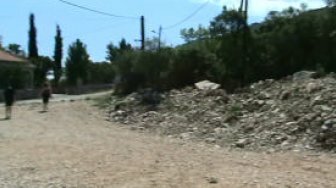 This involved driving back towards Cavtat and using a road which seriously zig-zagged up the mountain. When we got to the top we were extremely high and the views were even better than those described earlier. We found the route of the railway line about a mile further on. To the left it was rough track but to the right it had been tarmaced. Notwithstanding this as it was very narrow (again with no armco at the top of embankments) we parked and walked. It was as well we did as half way along we met a large fire engine which would have been likely to have led to a reversing situation to a passing place. 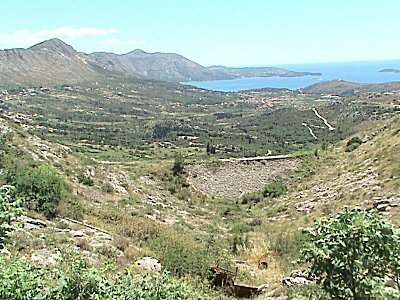 Eventually Vojski Dol was reached and we had the pleasure of seeing at first hand where the line emerged onto the mountainside to then make its way down to Mihanic, via the elusive curved tunnel on towards Cavtat and after that in the far distance below us forward to Zelenika. On another occasion we will walk down this but after the hike we had undertaken in the hot sun we were tired and thirsty so made our way back to the car. After resting a while in the car we drove back down to the valley below and took the E65 road past Dubrovnik Airport to the village of Cilipi. We found the station, which is also a private house . 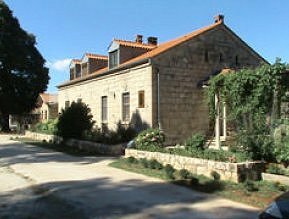 Cilipi station - now a private house. Further along we located the road bridge on the E65 across the railway. Finally for the day, we attempted to find Komaj station. Despite walking about two miles along the abandoned line, no evidence of any buildings were found. We wondered whether it was a small halt served by a path to the E65 road below. Embankment on the line near Vojski Dol. The last day of exploration was to be spent finding as many stations as we could on the remaining portion of the Zelenika line. Gruda was first and whilst we think we found the station it was no more than a pile of bricks as shown. A pile of stones at the site of Gruda station. More luck with the next station, Plocice. This was very much in tact and perched on the side of the mountain but quite accessible by a path on the right after a still remaining curved viaduct over Highway 516 which forks off to the right of the E65 about two miles from Gruda. 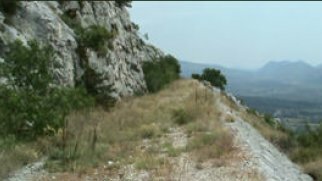 At this point it was possible to view the top part of the Vojski Dol-Mihanici-Cavtat loop in the far distance on the opposite side of the valley. The viaduct is a beauty. In very good shape and we decided to walk over it. It is narrow and although it has steel railings on each side, these are curved outwards offering those without a head for heights no comfort at all. 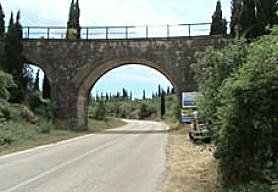 The superb curved viaduct at Plocice. Little of the railway could be investigated from then on until Sutorina as we found no places to park. This is border country and the road is either in a narrow valley or perched up on a ledge. From the map it was clear the railway was nearby but to all intents and purposes it was inaccessible. Sutorina itself was a disappointment. 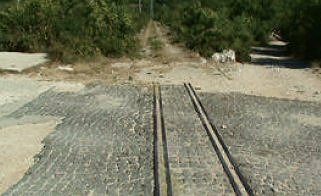 We found the railway which was about 100 feet up from the road but like Komaj there was no evidence of a station. All we found was a shanty sort of settlement around the railway where we thought the station should be. The final three stations on this line were around the populated bay area of Herceg-Novi. The first was Igalo and the place was teaming with sea-side pleasure seekers. 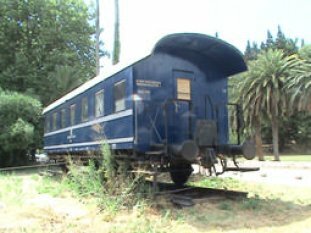 The station no longer remains but on its site is a stationary standard gauge 4 wheeled railway carriage to commemorate the Railway. It was nice to see a piece of rolling stock at last � it momentarily brought to life the derelict railway lines we had explored during this holiday. 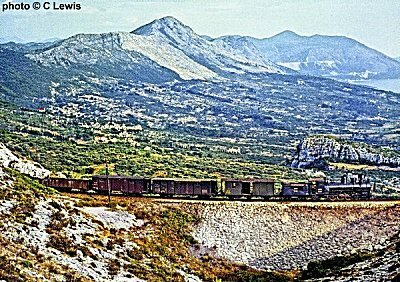 This railway car symbolically preserves the memory of the time when the railway operated in Boka Kotorska. 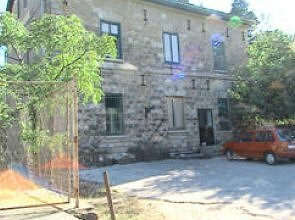 The railway started operating in Boka in the year 1901, and remained there until 1968. 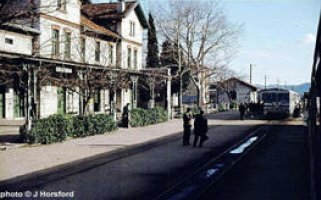 Once on this spot there used to be the railway station, Igalo which had a station building and three gages (sic) � (platforms?). 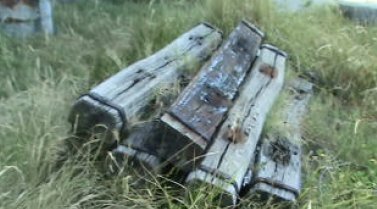 The local residents of Boka keep the loving memory of the time when the railway was here, and hope it will be back one day! 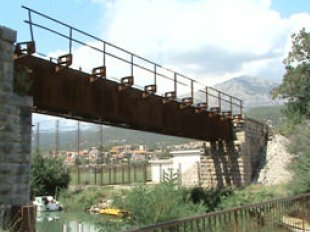 The girder bridge at Igalo. We had not come prepared to Montenegro where the unit of currency is the Euro � we had only Croatian Kuna and these are not readily accepted in Montenegro, especially by car park attendants. Due to this we could not park anywhere and in the end just had to content ourselves with driving through the busy, built up area between Igalo and Zelenika. We saw no trace of the railway and vowed to come back again, but then we will be armed with Euros so that exploration on foot will be possible. Our expeditions had been very tiring but extremely enjoyable. 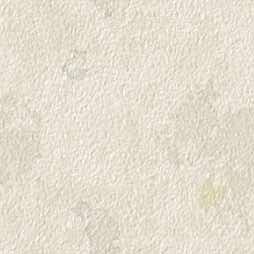 Although we emerged with numerous scratches and had to contend with hazards such as the threat of land mines, cows and dogs we would not have missed it for the world. 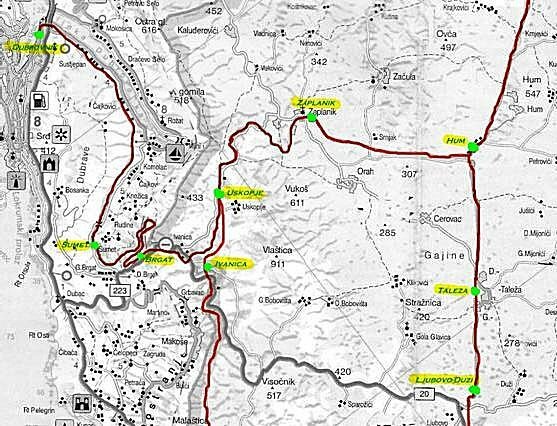 We will definitely return to Croatia to fill in the places we missed and also to explore the Hum to Niksic line which from the map looks incredibly interesting. Trouble is such exploration is very time consuming and that line would take about ten years to cover if it is necessary to rely on four days per annual holiday!